Comcast will get $2.3 million out of the deal, while Time Warner gets $1.2 billion and Bright House will be paid $189 milliion. The agreement actually covers a bit more than just spectrum - under its terms each of the companies will be able to sell services of the others and in the future it’s possible that the cable providers could sell Verizon services. As you probably know, currently T-Mobile offers data services using AWS bands, so the 122 licenses could have been a great asset in the company’s effort to extend its 4G network. If Verizon Wireless gets the institutional green light for the deal, this leaves T-Mo in a difficult position with little choice. Interestingly, the $4 billion AT&T was supposed to give to T-Mobile in case the AT&T-T-Mobile merger doesn’t pass, would have fit the bill perfectly. 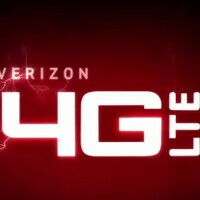 PHILADELPHIA, PA; BASKING RIDGE, NJ; NEW YORK, NY; and ORLANDO — SpectrumCo, LLC, a joint venture between Comcast Corporation, Time Warner Cable, and Bright House Networks, today announced it has entered into an agreement pursuant to which Verizon Wireless will acquire its 122 Advanced Wireless Services spectrum licenses covering 259 million POPs for $3.6 billion. Comcast owns 63.6% of SpectrumCo and will receive approximately $2.3 billion from the sale. Time Warner Cable owns 31.2% of SpectrumCo and will receive approximately $1.1 billion. Bright House Networks owns 5.3% of SpectrumCo and will receive approximately $189 million. The agreement comes at a time when consumer demand for wireless services and bandwidth is increasing rapidly. This sale of spectrum is an important step toward ensuring that the needs and desires of consumers for additional mobile services will not be thwarted by the current spectrum shortage. While government action to free more spectrum is expected, this transaction ensures that the spectrum which is already available for mobile services is used effectively to serve customers. The companies also announced that they have entered into several agreements, providing for the sale of various products and services. Through these agreements, the cable companies, on the one hand, and Verizon Wireless, on the other, will become agents to sell one another’s products and, over time, the cable companies will have the option of selling Verizon Wireless’ service on a wholesale basis. Additionally, the cable companies and Verizon Wireless have formed an innovation technology joint venture for the development of technology to better integrate wireline and wireless products and services. SpectrumCo’s sale and transfer of its advanced wireless spectrum to Verizon Wireless is subject to approval by the Federal Communications Commission and review under the Hart-Scott Rodino Act and other customary conditions. Not to be a stickler, but I think Comcast is getting $2.3 Billion, not million. #corrections Great article though, Verizon is going to dominate the 4G market and they will pry my unlimited data plan from my cold,dead fingers. Yeah...funny. AT&T could have bid on it and grew their network the right way. Good for Verizon...they are the lesser of two evils. The Duopoly is almost complete. Sprint in partnership with Clear and their combined spectrum holdings, is the consumer's last hope in stopping this regiment. John B.
I think they should have just bought Clearwire instead of getting into bed with LightSquared. I think LS is going to have MAJOR federal issues since their current network is killing the GPS systems on a national scale. They should have just bought Clearwire, and transitioned their tower infrastructure to LTE. (That probably would have been better for my Clearwire and Sprint stock).